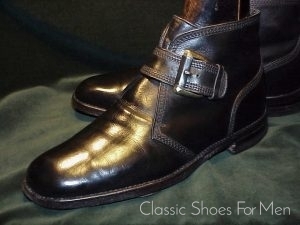 SOLD to Mr. L. D., Lausanne. 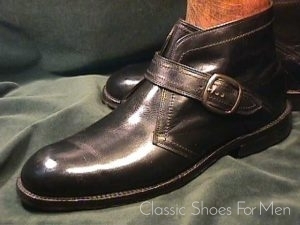 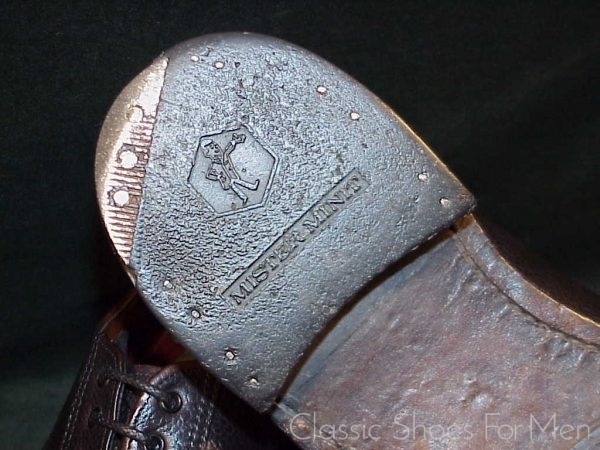 There was a time when this kind of heavily made shoe or boot was often seen in provincial English farming towns and at the county shows heavily attended by the local landed gentry, the sort of folks in Barbours and green Wellies before they came into general awareness. 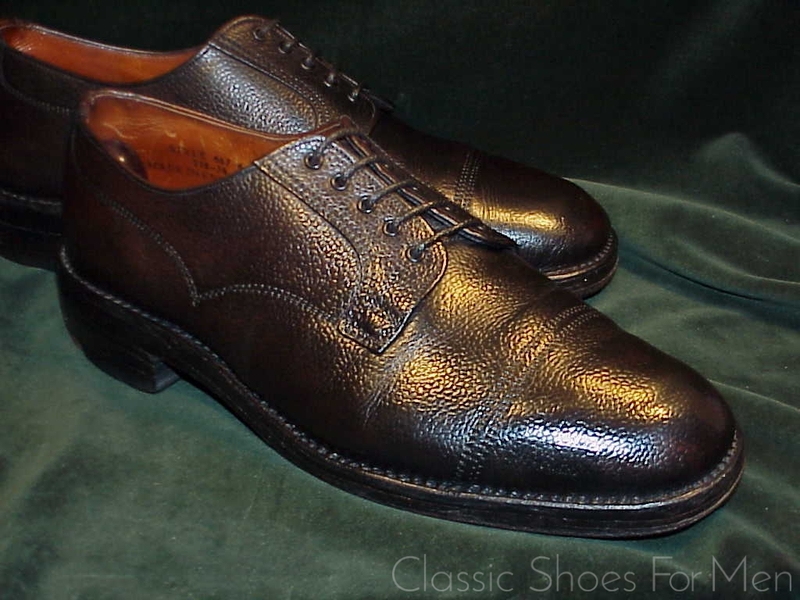 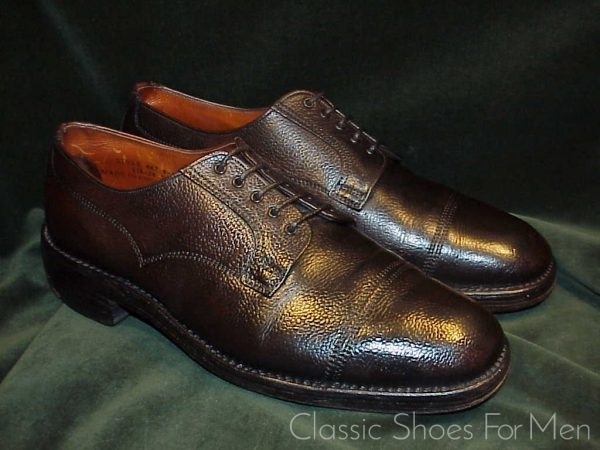 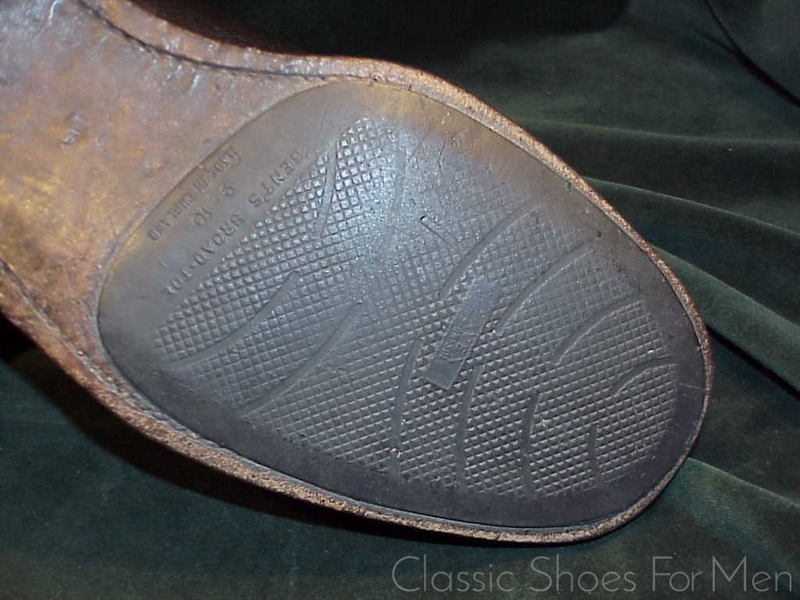 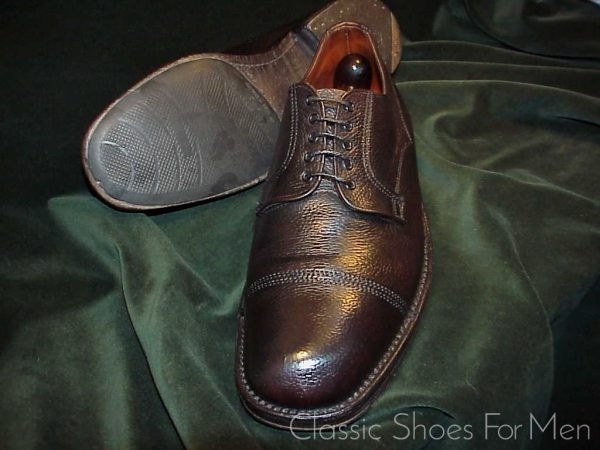 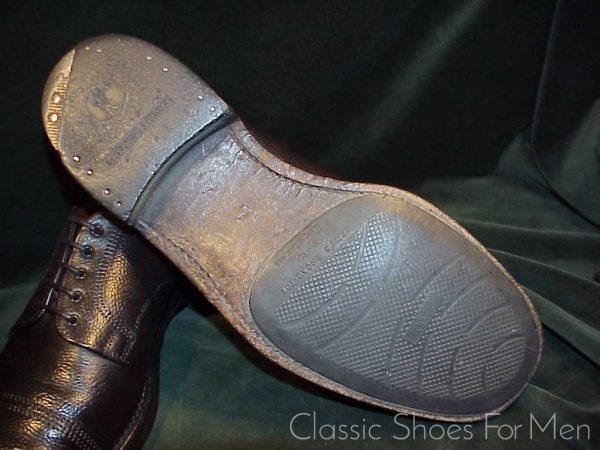 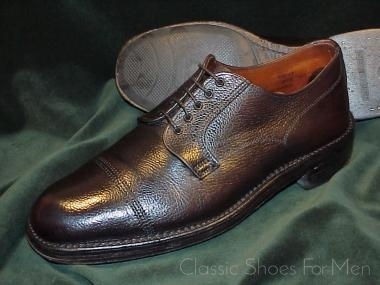 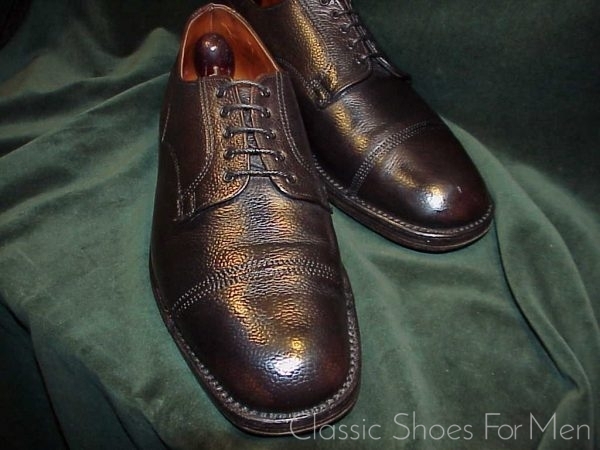 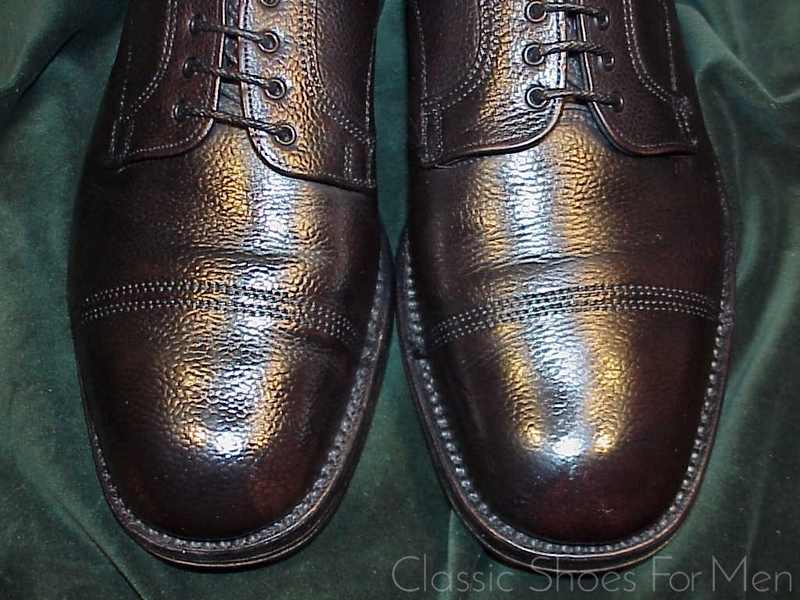 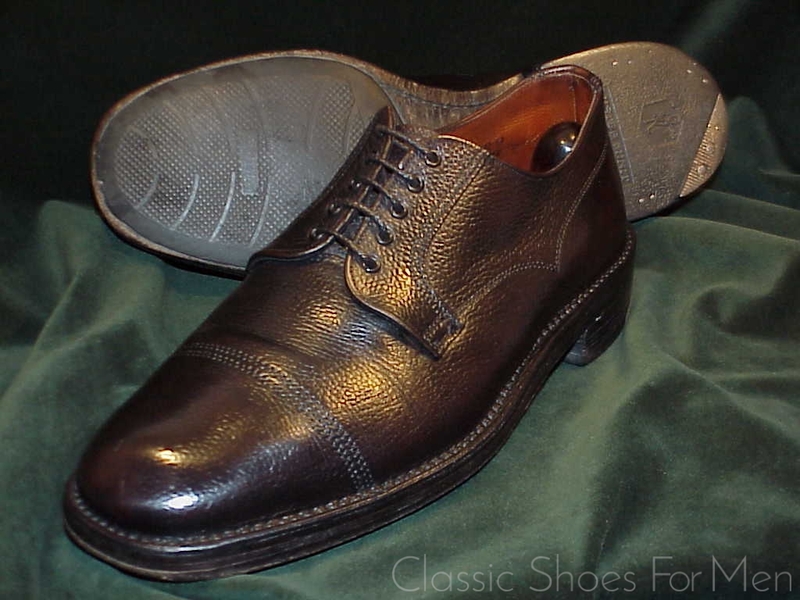 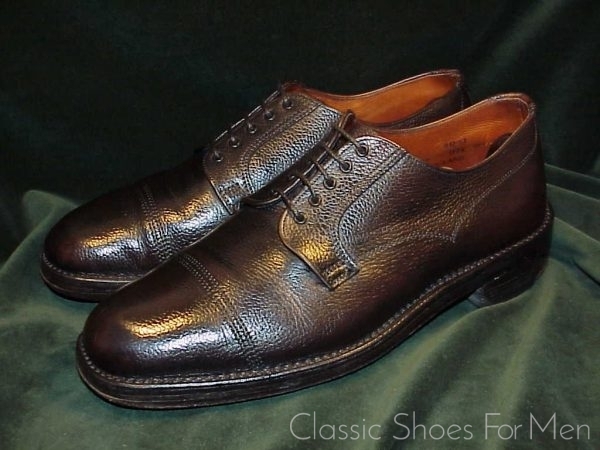 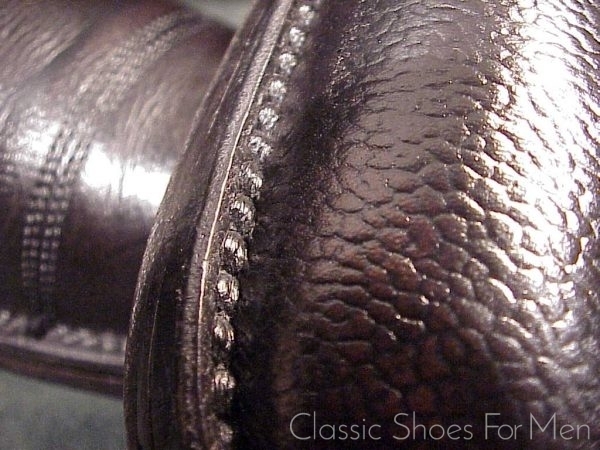 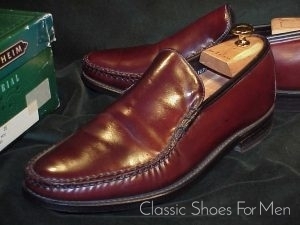 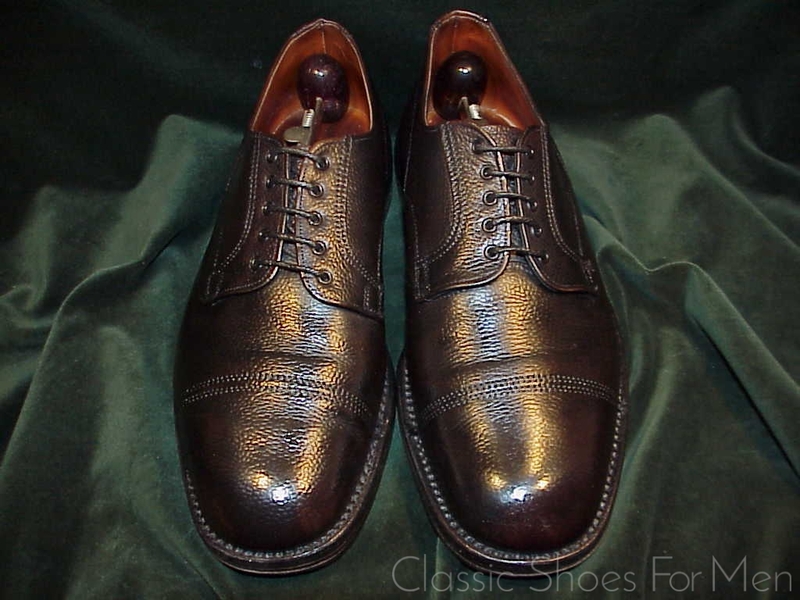 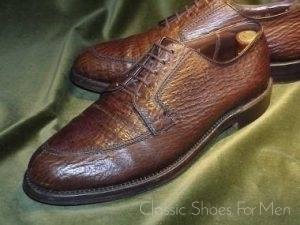 Usually of the heavy duty leather soled Veldtschoen style construction or, like the present example, with triple sole, these shoes employ the remarkably rugged, abrasion-proof Zug grain leather, more hardy than any modern country calf or pebble grain. 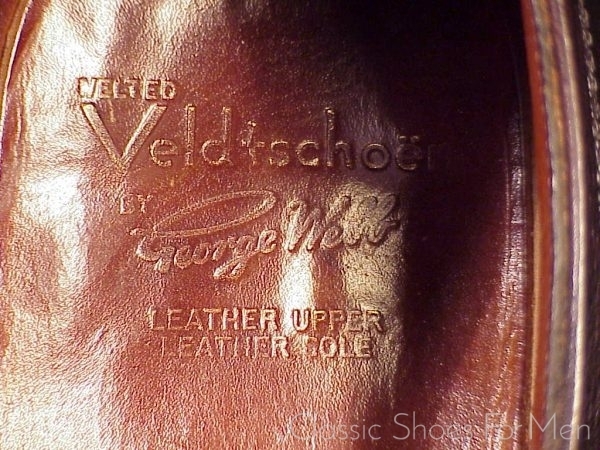 Made by Webb to military specifications, the extraordinary durability of this leather prevents not a single mark to the tops after at least 40 years of use! Moreover this leather is highly water resistant the ideal match for water-repellant, double welted (Pic #9) Veldtschoen construction. 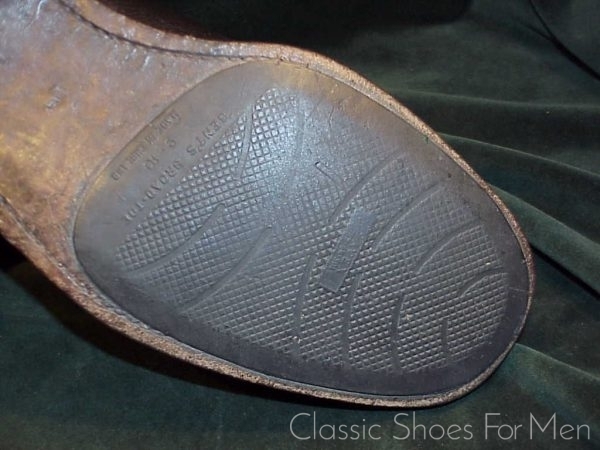 With the addition of a “Broad Toe” rubber sole protector and steel-armoured hard rubber heel, this indestructible shoe promises to serve you in town or country for generations to come. 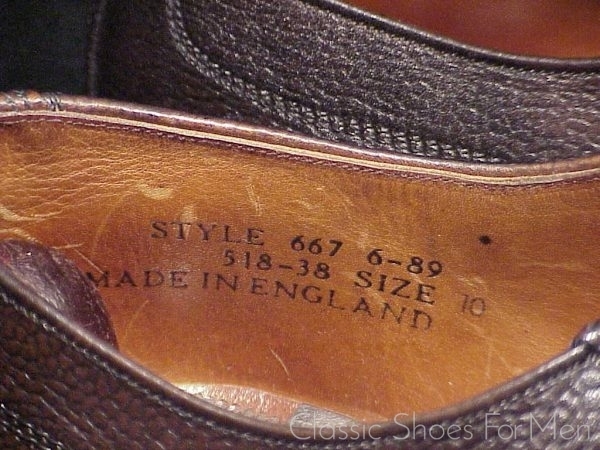 UK 10E…..US 11D……Continental 44.5D, for the medium width foot. Bottoms lightly worn, heels near new, tops very near new.